FEMALE VOCALIST OF THE YEAR – At barely 18 years of age, Raiatea Helm made Hawai’i music history as the youngest artist to ever receive the coveted Female Vocalist of the Year Award by the Hawai’i Academy of Recording Artists (Hawai’i’s equivalent to the Grammy Awards). 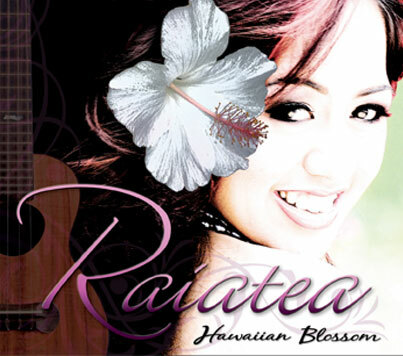 At the same time, Raiatea Helm became one of the youngest recording artists ever to receive the Most Promising Artist of the Year Award. 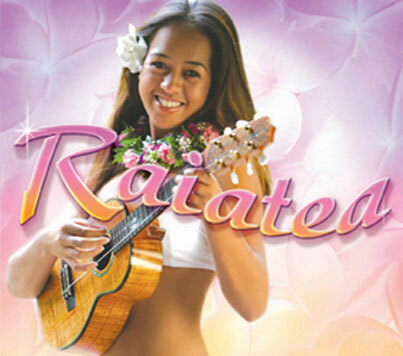 This debut CD is self-named as “Raiatea” translates to “Far Away Heaven.” This collection of songs reveals the strength and clarity of a young star whose meteoric rise onto the Hawaiian music scene has never subsided. Her classic rendition of Po La’ila’i was included in the recent Putamayo Records release “Hawaiian Playground.” Her other classics, “Kauoha Mai” and “Alekoki” continue to receive regular airplay. 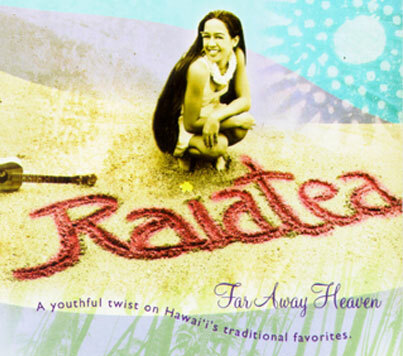 “Sweet & Lovely,” Raiatea Helm’s follow-up recording to her multiple Na Hoku Hanohano Award winning debut CD “Far Away Heaven,” made history as Raiatea Helm became Hawai’i’s first solo female vocalist to receive a Grammy Nomination. Artists from Hawai‘i have been making their mark on the world music scene for decades. Keola Beamer, with a career that spans more than 30 years, has done just that. As a world-renowned slack key guitarist, he has certainly earned his place as one of only a handful of true “Masters” in the world. 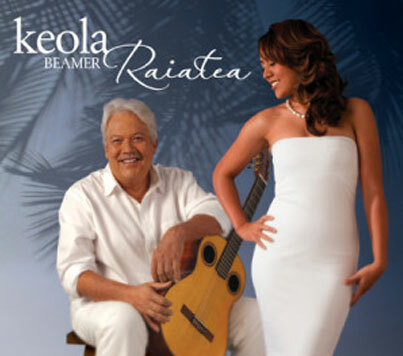 Raiatea Helm has risen to the TOP of the industry at such a young age. Winner of every major music award in the islands, this Billboard World Chart recording artist grows with every CD and never ceases to amaze us. 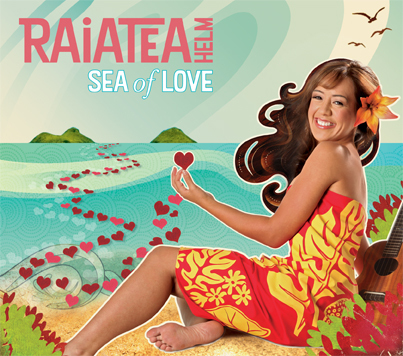 Twice-Grammy® nominated international Hawaiian recording star, Raiatea Helm adds to her list of award-winning music with the release of her long-awaited solo CD Sea of Love. As a courageous “new traditionalist” of Hawaiian music, Raiatea Helm’s collection of songs in Sea of Love takes the musical stylings of the late 1950’s and early 1960’s and makes them fresh through vibrant, innovative arrangements. This collection of songs draws upon the signature sounds of a bygone era in Waikiki and captures the sizzle of brushes on a snare drum and ‘sock’ cymbal, the use of maracas, congas and bongos, and the uplifting rhythms of the vibraphones, the bass, the steel guitar, and the piano. When Raiatea Helm’s sparkling vocals are placed within the energy of this effervescent instrumentation, she breathes new life to songs from a by-gone era that were once performed throughout Waikiki and known simply as “Hawaiian Club” music. 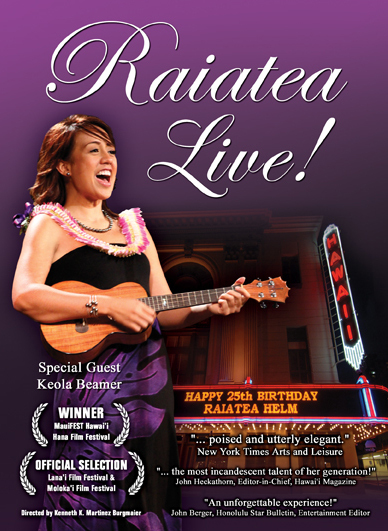 Raiatea Helm, Hawai‘i’s only Two-Time Hawai‘i Female Vocalist of the Year, Twice Grammy® Nominated, and Seven-Time Na Hoku Hanohano Award Winner, delivers a stunning performance of traditional and contemporary Hawaiian songs in her DVD debut Raiatea Live!&#160; Filmed at the historic Hawai‘i Theatre Center on her 25th Birthday, Raiatea Live! captures all of the excitement, beauty, and charisma of Hawai‘i’s premiere female vocalist.